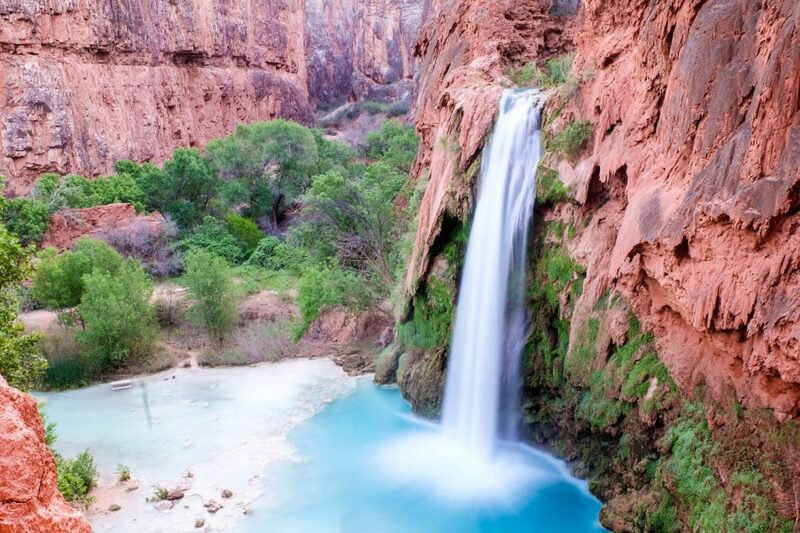 12 Havasu Falls Photos that Prove it's Worth the Hike » Lavi was here. 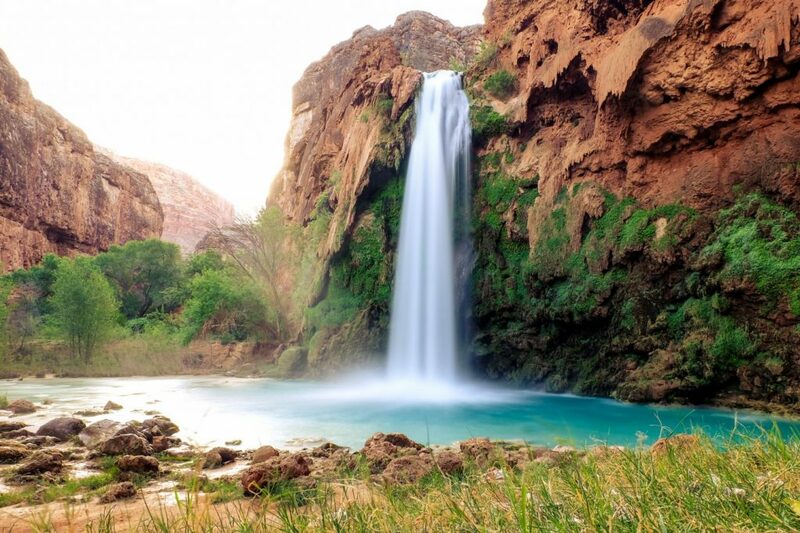 I’m still gushing over hiking and camping in Havasu Falls, Arizona. 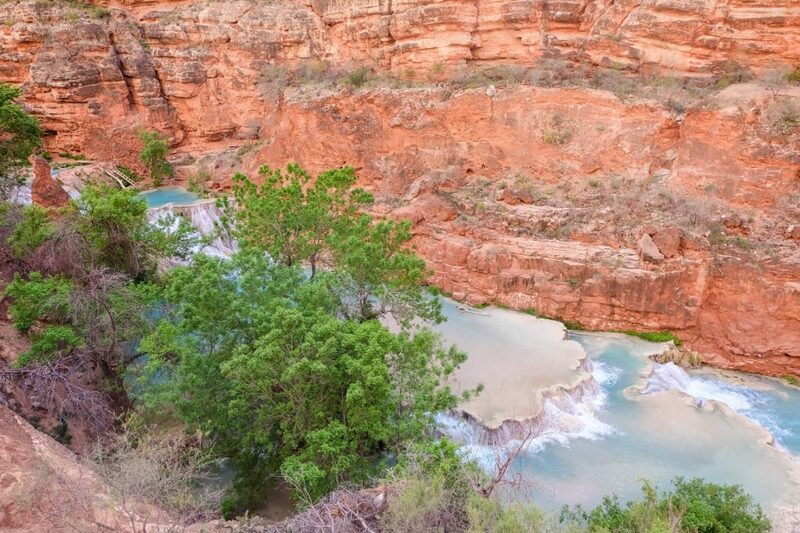 It was three days of hiking, camping, and swimming in this Grand Canyon oasis in the Havasupai Indian Reservation. 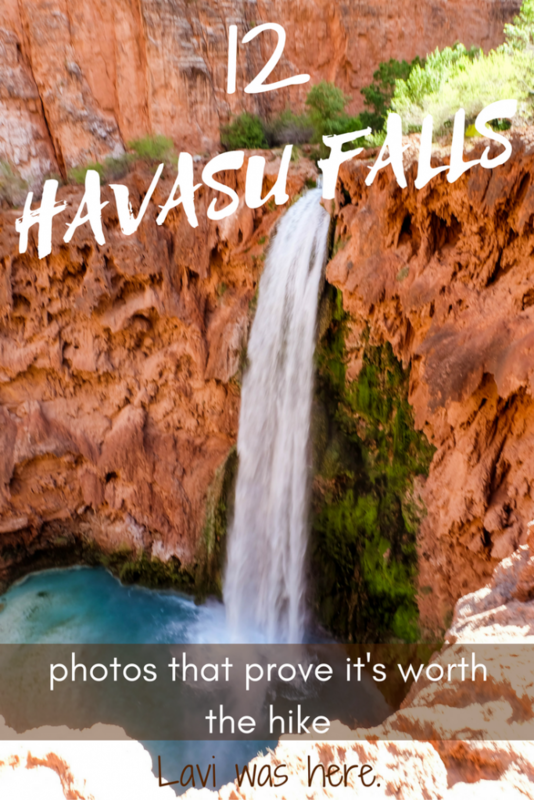 I’m not going to lie to you – the hike to Havasu Falls was difficult. Carrying all the camping gear was no simple task, but the aches and pains were worth it when we arrived. Don’t believe me? 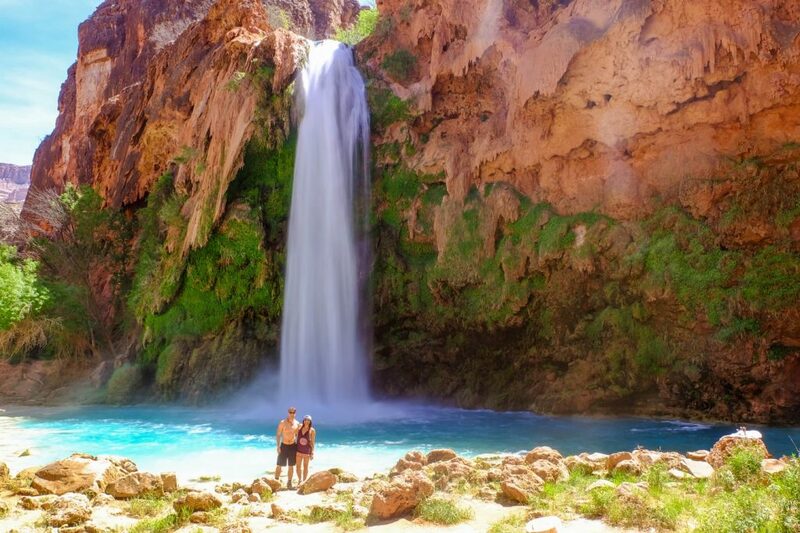 Here are 12 Havasu Falls photos that prove it’s worth the 10-mile hike! After hiking 8 miles into the Grand Canyon to Supai and then another 2 miles, this is your first view as you descend to the campground. There’s no better welcome than seeing the waterfall you worked so hard to visit. It looks better than it does in the photos, and the photos are pretty amazing! Our camp felt like a little home in the Havasu Falls campground. It’s so nice being in nature without any interruptions. There’s no mobile phone service and no work looming over your head when you’re in the middle of nowhere. We awoke to sounds of water flowing down the river and birds chirping. What more could you ask for? If you wake up early enough, you won’t need to share the waterfalls with anyone. It’s worth it to wake up early at least one morning to take in the views and take as many photos as you want. It’s the best time to snap photos without other visitors in them! 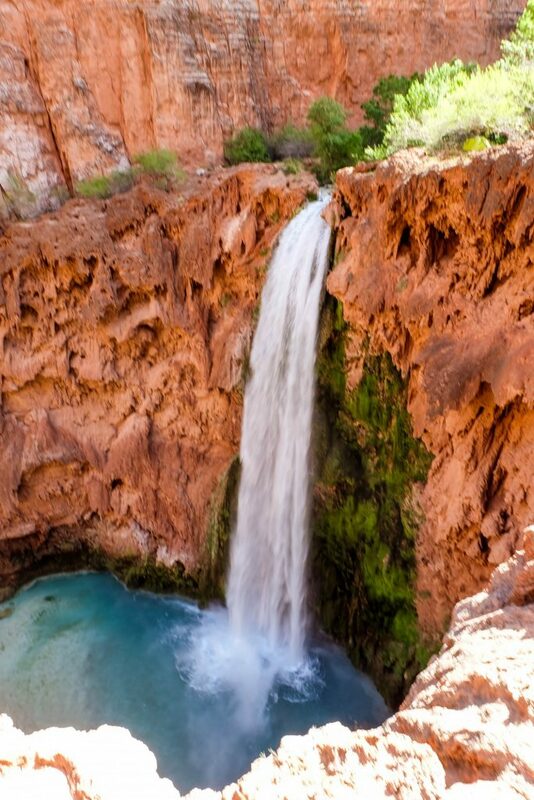 Havasu Falls is like a natural water park. We jumped from rope swings and tree stumps, played games, and practiced our cannonballs. The weather was warm and the water offered cool relief. The campground was full of other visitors but we didn’t feel too crowded when at the falls. There’s enough space for everyone to have some fun and enjoy with friends. Again, it felt amazing to not have any distractions. Our group enjoyed each other’s company, took lots of photos and had time to just relax in the sun and water. The hard part of the hiking was over (until the return), so we wanted to make the most of the time we were at the falls by soaking them in. Sometimes it feels like the world goes to sleep when we do, but it was such a cool experience to walk down to Havasu Falls and capture some long exposure photos at night. 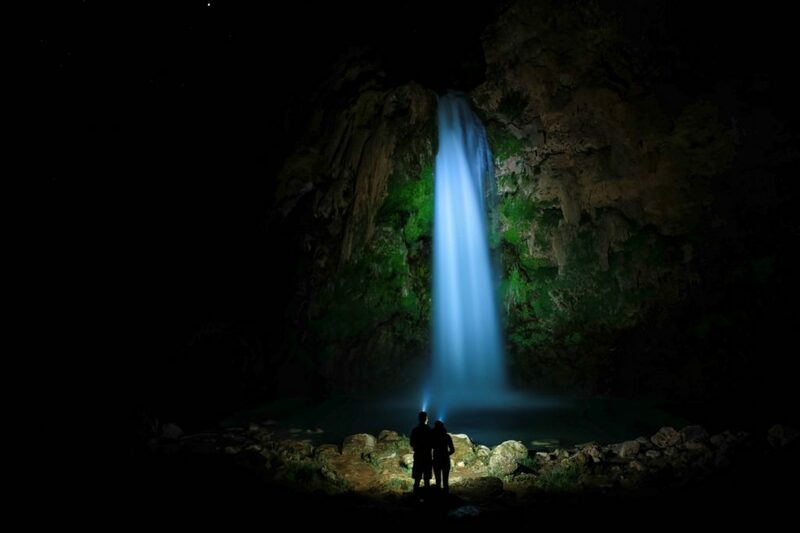 We could hear the waterfall’s peaceful roar but couldn’t see it until we flashed our headlamps on it. At the end of the night, we were the only people still there. It was one of my favorite moments from the entire trip. Being in the middle of nowhere means there’s no light pollution! 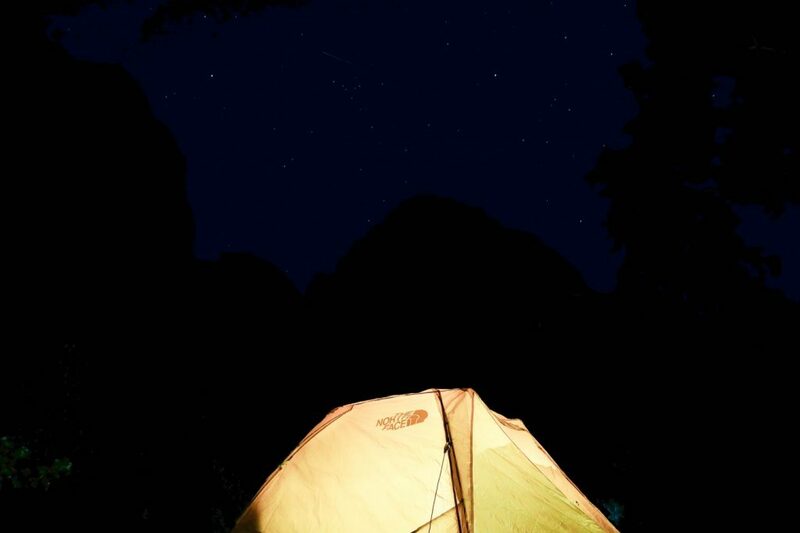 We were treated to beautiful blue skies and unobstructed views of the stars every night. The water has high levels of calcium carbonate. This stunning blue-green color is the reason why Havasu draws such large crowds for camping every year. You’d think we were somewhere like Southeast Asia or the Caribbean, but really we’re in Arizona. It did really look and feel like a desert oasis and it was nice to be transported to a completely different landscape for a weekend. I got nervous standing close to the edge looking down at Mooney Falls. This waterfall is even bigger than Havasu Falls and you feel like you’re right on top of it when you’re standing at the edge. It’s truly breathtaking. The climb down some rocks, metal ladders, and slightly rotted wooden ladders was a little nerve-wracking but it meant we got to splash around in this playground. 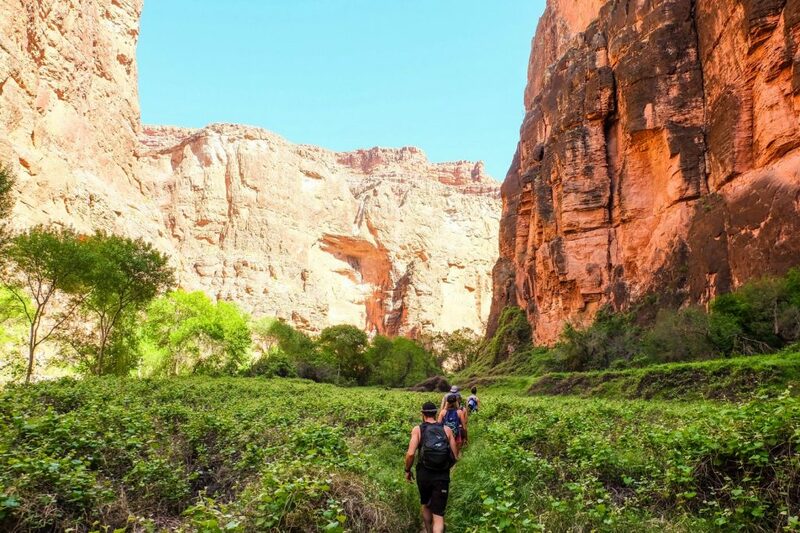 Hiking and camping inside the Grand Canyon are once in a lifetime experiences. I didn’t expect to see such lush greenery in the canyon. It felt like we were in an oasis…or in Jurassic Park. This view reminds me of both the travertines in Pamukkale, Turkey, and Semuc Champey, Guatemala. 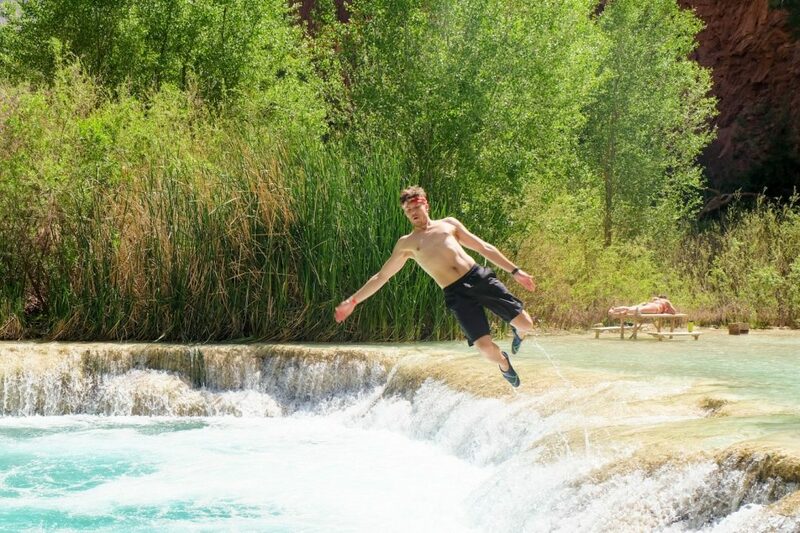 Still, after seeing those beautiful pools of water in other countries, I loved Beaver Falls in Havasu. It was a tiring two-mile hike to get to Beaver Falls, but once we arrived we immediately jumped off of these smaller waterfalls and marveled at our surroundings. It’s so true that it’s not always the place that makes an experience unforgettable, but the people. 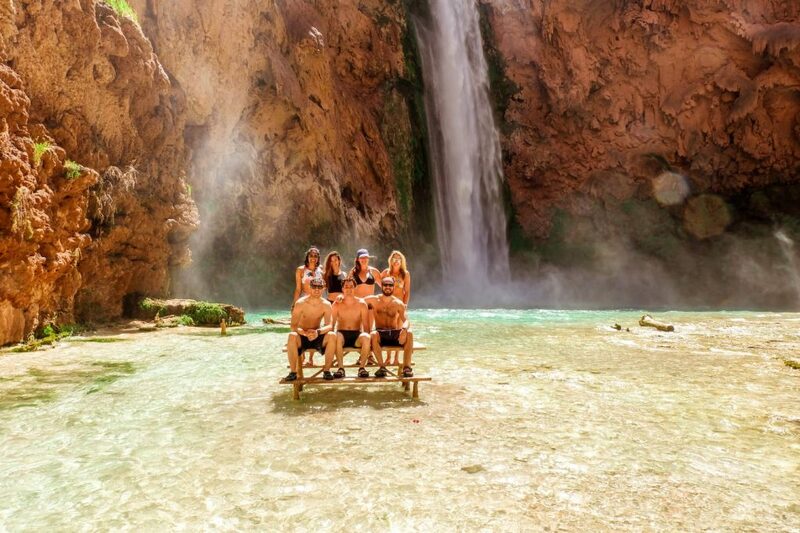 Get a good group together and you’ll have the best trip in Havasu Falls. 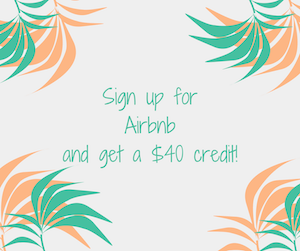 Planning a visit to Havasu? 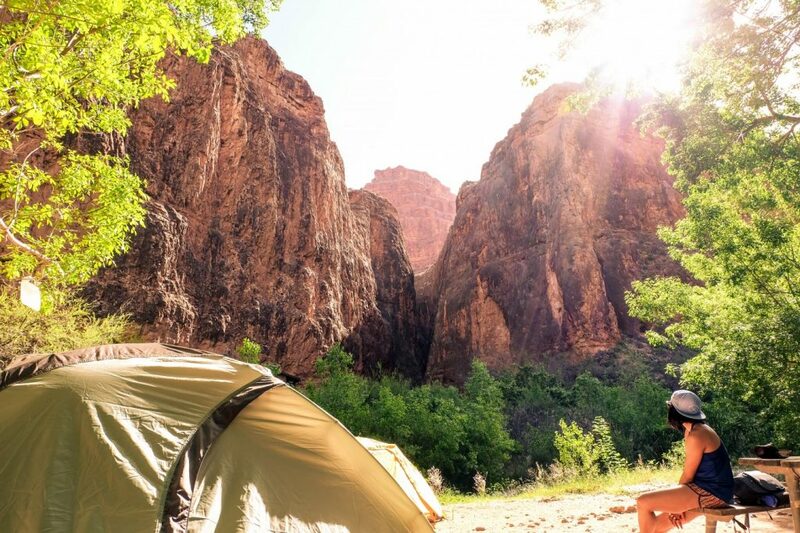 You can find the hiking and camping information you need to know in this guide! 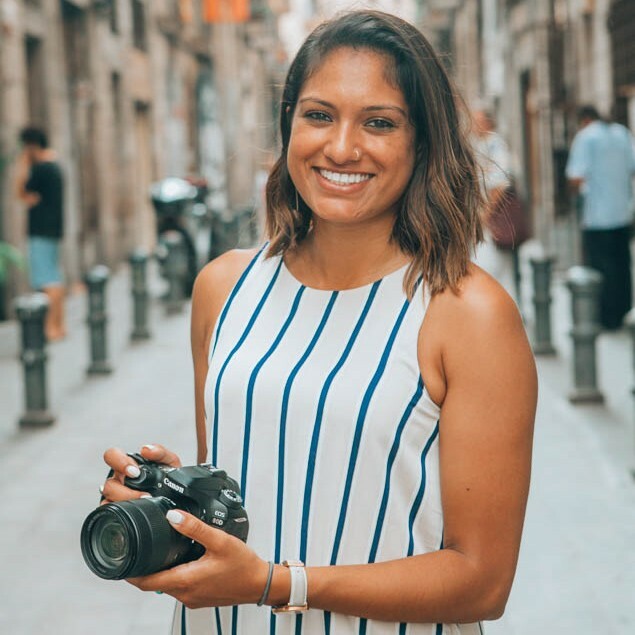 8 Solo Travel Tips for Having the Best Trip Ever – Free Ebook! Previous Post 8 Solo Travel Tips for Having the Best Trip Ever – Free Ebook!